Before Homeland there was Prisoners of War, and though they share a general premise, you cannot assume you know what to expect. 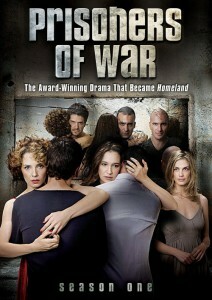 In the original Israeli series, two POWs return home after seventeen years in captivity. Seventeen years. Time enough that one soldier faces teenage children who don’t know him at all, while his comrade is confronted with a fiancée who has since married his brother. A third hostage returns in a coffin, but his sister sees and hears him as if he survived. Extraordinary in its quiet, tense moments, Prisoners of War is a complex and provocative exploration of the effects of torture, suspicion, and the struggle to reintegrate into both family and society.